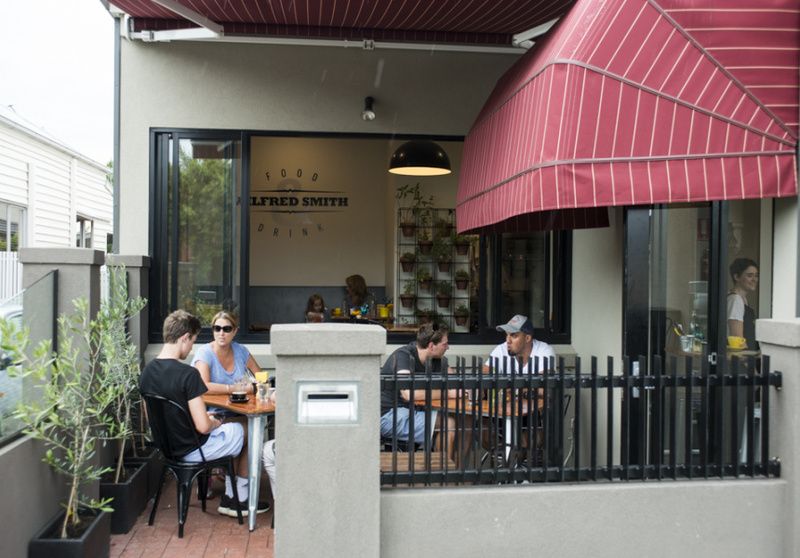 Even before you walk beneath the awnings at Wilfred Smith Food & Drink in Essendon, you already feel at home. Once inside warm wooden finishes are punctuated with industrial black and yellow seating (a colour scheme that might cause suspicion among local AFL supporters). Fresh flowers adorn tables and a wall frame of potted herbs adds a touch of green. 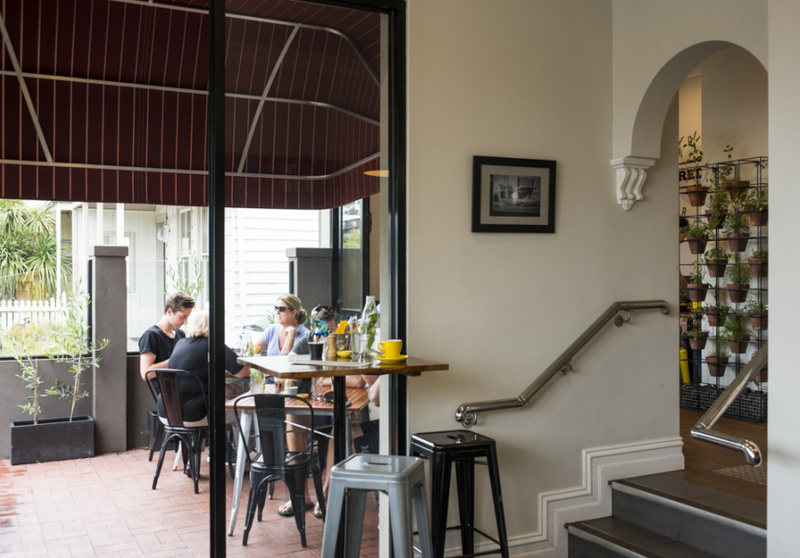 This local gem is owner Matthew Smith’s first foray into cafes following his restaurant and catering-based cheffing career. Smith jumped at the opportunity when the cosy corner shop – formerly a butcher – became available, naming the cafe after his grandfather Wilfred, also a butcher. Matthew’s culinary background shines in his menu, which is split into “Breakfast” and “Not Breakfast”. In the morning there’s naughty (gingerbread hotcakes served with lemon curd, creme fraiche and black pepper meringue crumble) and nice (a breakfast salad with frisee lettuce, prosciutto chards, cherry tomatoes, toast, a poached egg and fried haloumi). 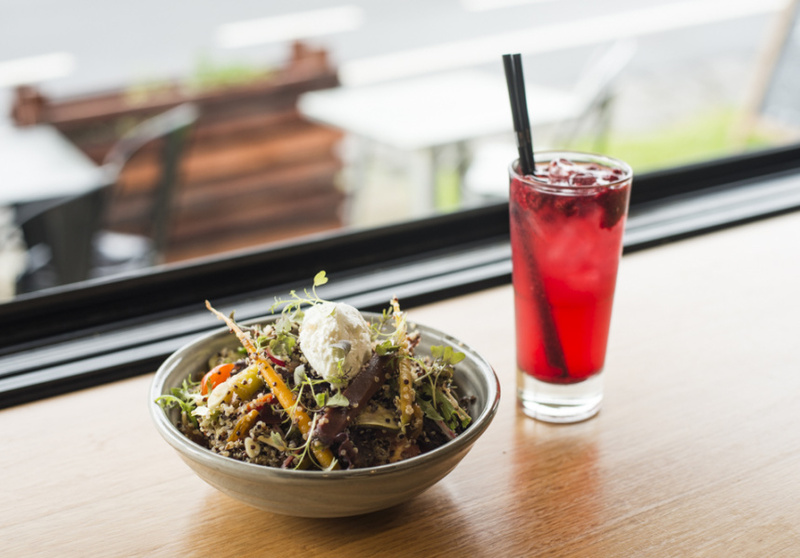 Come lunchtime, dishes aren’t limited to a single cuisine and can range from sweet Italian meatball sliders with zucchini pickles on brioche, to duck okonomiyaki, a Japanese pancake chunky with vegetables and sticky with shredded duck. With chatty staff, house-made doughnuts, coffee by Allpress and Storm in a Teacup teas, Wilfred Smith is worth travelling for.